The Great Smoky Mountains Railroad takes you through a remote corner of scenic western North Carolina into river gorges, across fertile valleys & through tunnels carved out of mountains. The Yellow House on Plott Creek Road is the perfect place to stay as you explore the beauty of our area. There is so much to do in (and near) Waynesville. From horse back riding and a casino resort in Cherokee to an historic automobile museum in Maggie Valley, there is plenty of entertainment in Western North Carolina. The End of the Trail Horseback Riding in nearby Cherokee, NC offers 1-hour guided trail rides with spectacular mountain views. You can see Clingman’s Dome from their ridge top. A small waterfall is visible along the trail. This is Native American owned and operated and located on a Cherokee Indian Reservation. While you are in Cherokee, be sure to check out Harrah’s Cherokee Casino Resort. In additional to offering traditional table table games like Blackjack, Craps, and Roulette, the resort also has an indoor and outdoor pool, Mandara Spa (offering relaxation and pampering), a bowling alley, several dining options, and regular big-name entertainment in Fall of 2018 like Rascal Flatts (the most awarded country music group of the past decade), Comedian Ron “Tater Salad” White (from the Blue Collar Comedy Tour), and Alison Krauss (who has 27 Grammy Awards)! 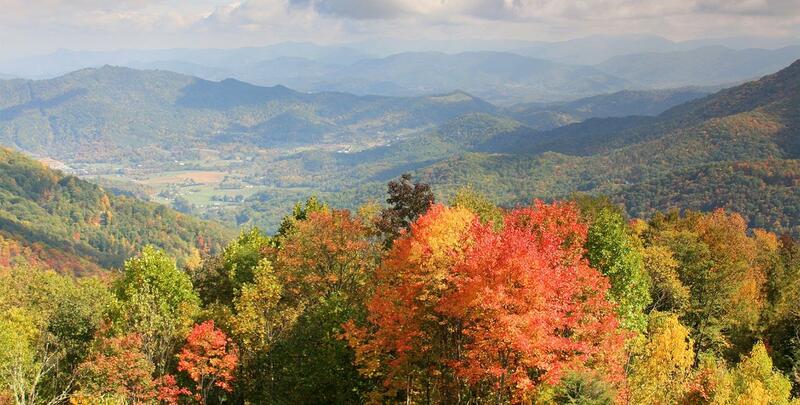 We look forward to hosting all of our guests (solo travelers, couples, friends, and families) as they enjoy the natural beauty and fun entertainment in Western North Carolina. Two-legged and four-legged (two of our suites are dog friendly) guests alike. Guests love our luxurious on-site amenities. We host private weddings, family reunions, and fun retreats. Our area is known for its scenic outdoor recreation (like canoeing and hiking) as well as our delicious food and unique specialty shops. 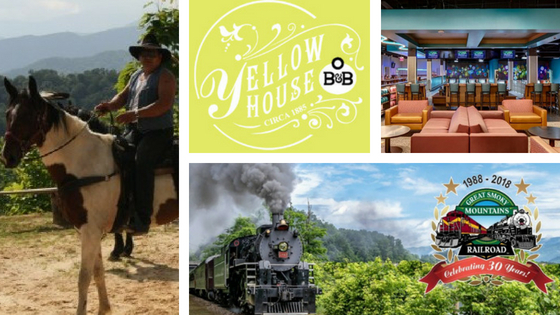 The Yellow House in Waynesville welcomes guests year round.